Things are going from bad to worse for Uzbekistan’s anticorruption whistleblower with a court ordering his confinement to a pretrial detention facility pending criminal hearings into corruption. 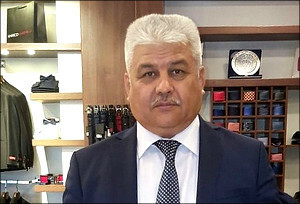 Olim Sulaimanov, who came to prominence last year after posting a video online alleging he had been harassed for bribes by tax officials, appeared in Mirzo Ulugbek district court in Tashkent on February 15 following a surprise summons from investigators earlier this month. Sulaimanov had said hearings were due to take place last week, but that his lawyer, Amriddin Abdullayev, could not be reached, possibly as a result of pressure from the authorities. The businessman arrived in court with Abdullayev and his 17-year old son Egamberdy Sulaimanov in the middle of the afternoon. Two representatives from the US Embassy also came to the court building but were denied entry to the hearing. The judge made no ruling during the preliminary hearing, postponing arguments until February 20, but nonetheless appears to have ordered that Sulaimanov be placed in custody at a Tashkent city police precinct holding facility, Egamberdy Sulaimanov told EurasiaNet.org. “I was not allowed to enter the courtroom and neither were employees of the US Embassy. When the hearing ended, only the lawyer, Abdullayev, emerged and he told me that my father had been temporarily detained and was being transferred to the Tashkent city police pretrial detention facility,” the son said. At first glance, it would appear Sulaimanov is suffering the consequences of his decision to take the unorthodox step of complaining publicly about alleged attempts in 2014 by tax officials to extorts thousands of dollars in bribes from his business. The entrepreneur posted a video documenting his situation in November and was then, in a surprise turn of events, invited onto state television to discuss the issue further. That appearance had given rise to speculation that incoming President Shavkat Mirziyoyev might be serious in his intent to address the systematic corruption that blights Uzbekistan’s hogtied private sector. After being summoned to court earlier this month, Sulaimanov decided to post another video message to his Facebook account, complaining of the mounting pressure against him and naming an official with the Tashkent prosecutor’s anti-corruption department as his chief tormentor. “Dear president, I am addressing you again to ask for your protection from the arbitrary behavior of the prosecutors. They have once again summoned me to court and I am now being accused under Article 168, fraud, and of slander against Dilshod Hazratkulov, to whom I supposedly offered a $30,000 bribe. It was he that tried to extort $30,000 from me in exchange for reopening my frozen bank accounts,” Sulaimanov said. Sulaimanov’s lawyer, Abdullayev, told EurasiaNet.org that his client was being singled out for prosecution for his decision to reach out to the foreign press. Egamberdy Sulaimanov said that his father appears to have drawn particular ire from the prosecutor’s office for his decision to draw the attention of the US Embassy to his case. Rights activists and local reporters note that Article 168 is a part of the statute books typically favored by the authorities when they are seeking to silence troublesome entrepreneurs, journalists and human right advocates. One particularly bitter irony of this case is that it comes just as the government has decided to release another businessman, Rustam Usmanov, after a 19-year spell in prison. “To take Rustam Usmanov’s place, they have placed another businessman in custody. Judges and prosecutors are afraid when any cases are reported in the foreign media and when representatives of foreign embassies attend court hearings,” exiled journalist Ulugbek Haidarov told EurasiaNet.org. A definitive decision on Sulaimanov’s fate is expected on February 20. What happens on that day may prove decisive, and not just for the businessman, but for the credibility of Mirziyoyev’s claim to be fighting in the corner of the business community against corruption and arbitrary intimidation.